Happy Wednesday everyone! 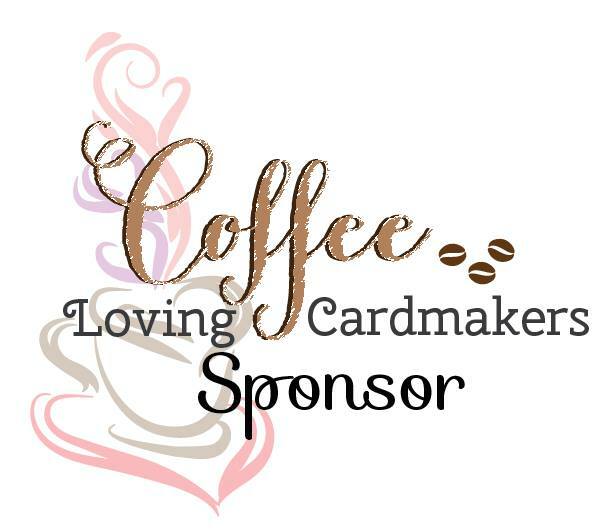 Rosemary here and I am sharing a card today using an A Jillian Vance Design stamp set that I have had for ages, but have not had the opportunity to make anything with... until now! 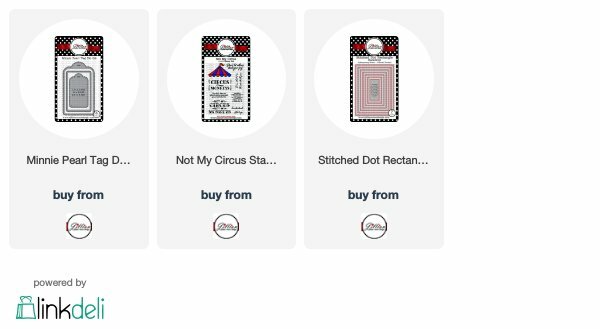 The stamp set is called Not My Circus. 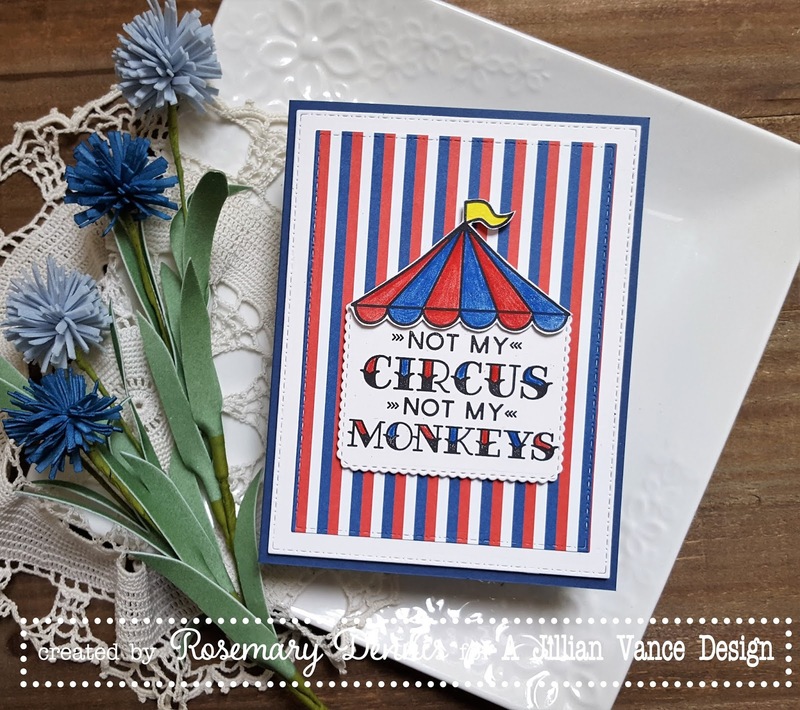 This set has some fun, sassy sentiments, as well as sentiments to help you feel uplifted along with the fun circus tent top image. I stamped the circus tent top on white cardstock and colored it with Prisma color pencils in red, blue and yellow. 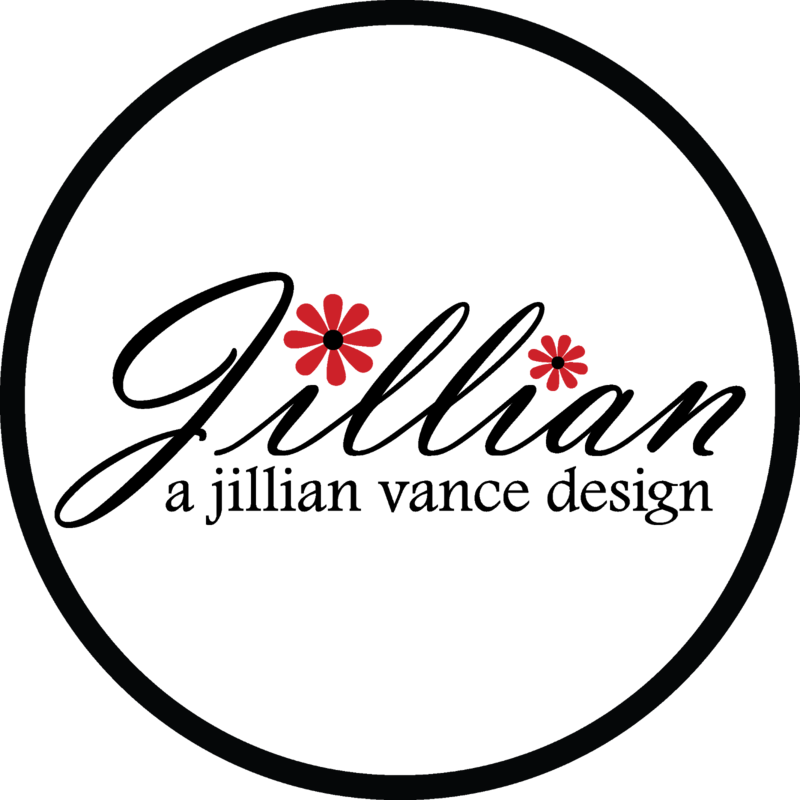 I then trimmed out the image and set it aside. I die cut the tag from the Minnie Pearl Tag set and stamped the sentiment using black ink along the bottom of the tag. I then used the die to trim the tag down further to create my tent bottom. I could have just cut the cardstock down with my paper trimmer, but I wanted that little decorative scalloped edge on my tent. I then colored in the letters using the red and blue Prisma pencils. I die cut some red, white and blue strip patterned paper with the second largest Stitched Dot Rectangle die and then matted that with white cardstock die cut with the largest Stitched Dot Rectangle die. The panels were adhered to a blue cardstock base and then I adhered the tent portion flat on the panel and popped up the circus tent top. Super simple, but cute I think! Going to add this to the Simon Says Stamp Wednesday challenge to use more than one stamp. Too cute, Rosemary--love how you made the tent! I can never seem to match my inks/markers with my printed paper, but yours is perfect! Such a fun card, Rosemary. I love this stamp set and you've showcases it beautifully. Love the color palette too. Thank you for joining us at Simon Says Stamp Wednesday Challenge.